Are you going to paint the Leopards? Probably not. They're late 80's models. Back then the Bundeswehr used NATO olive for vehicles anyway. Decals would be nice though. I'm getting there, Junior, because the Baureihe 103 madness continues! All of these rolled in this week. Is it me or is one of the lights not working on the front of the BR103 Touristik Zug? It's fine. The light guide just got pushed inside a bit. I couldn't let this EMU go. It's from Arnold. I really like EMU's and DMU's! 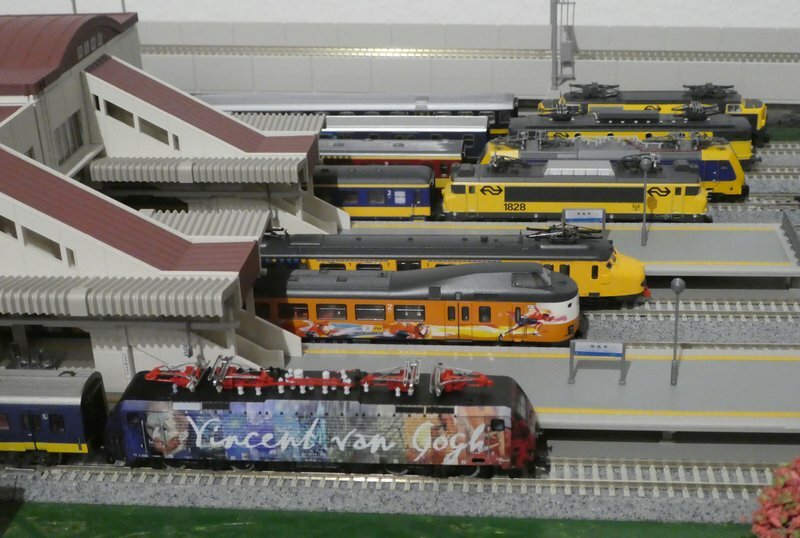 I got some more dutch models in the last few months, the olympic koploper, 1800, 1300 and the latest addition, the Hondekop. Here they are lined up with the models I already own. If you want to have an affordable one, try your luck at fairs. Koplopers that are not treated that nicely (read: used and without original packaging) I find occasionally. 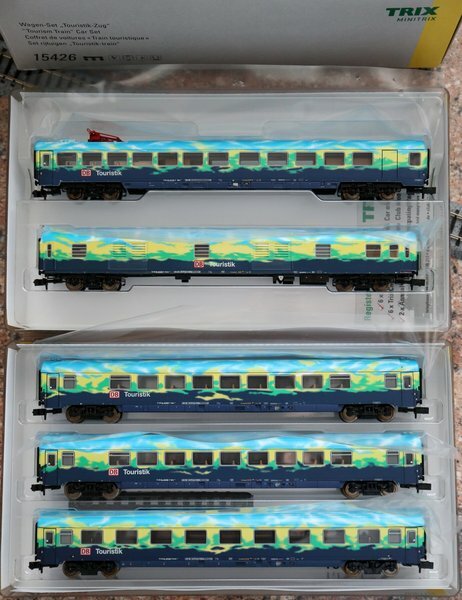 The Olympic Koploper I got from eBAY, at an auction, where it went for a very good price for these trains. I was lucky. And it turned out that the train was never really used that much and in -perfect- working condition, in perfect packaging too. Sometimes I'm just lucky. Yup, I'm always checking at my local model train fair. There's never been any Dutch stuff though. 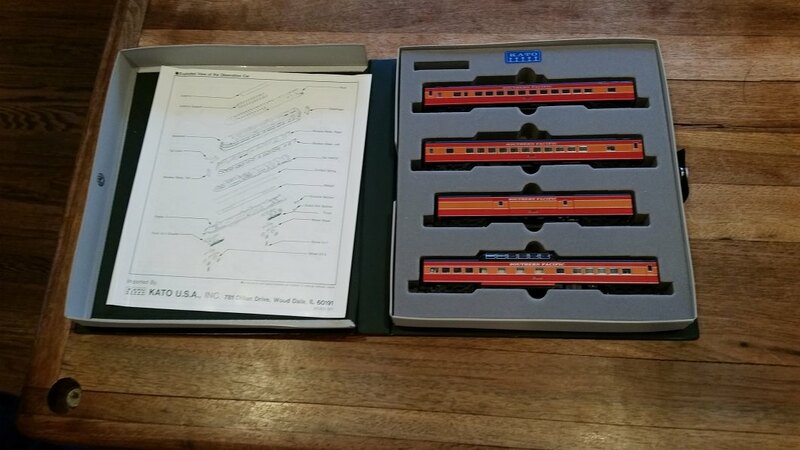 Hardly an N gauge stuff at all to begin with. 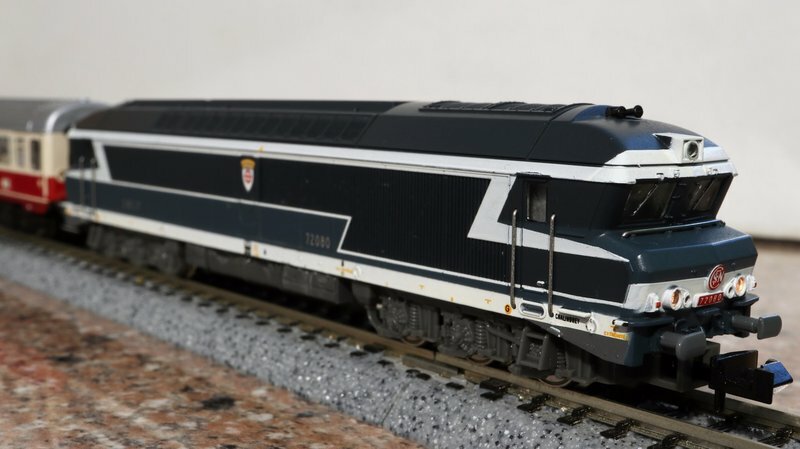 It's all about HO and TT gauge here. 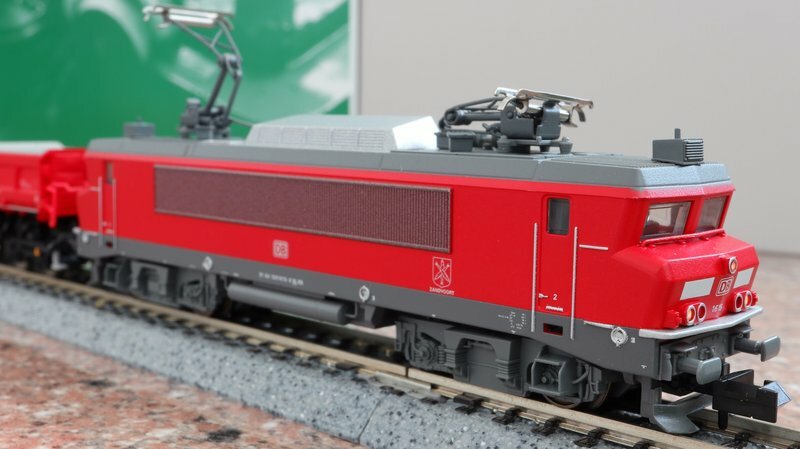 So I started getting into European freight as well with an Minitrix DB Schenker Rail NL Serie 1600 & Brawa DB BR 261 (Voith Gravita 10BB). It's such a pity that the Minitrix 1600s are basically copy-pasted from their French sisters. 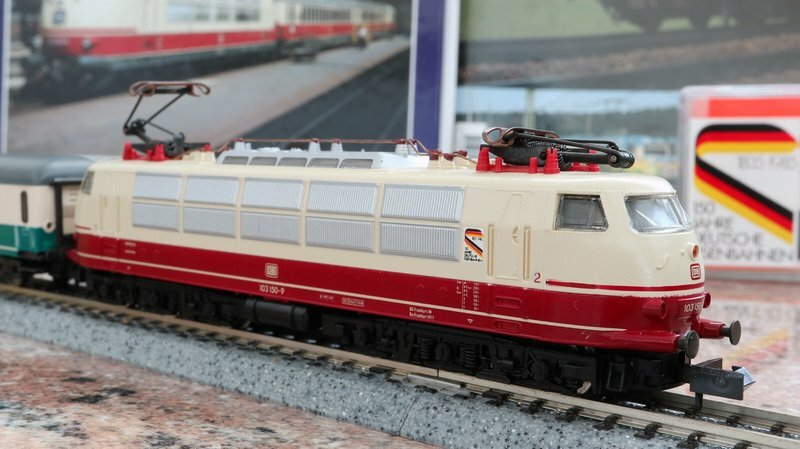 I would like to recommend to at least remove the thingy below the coupler (forgot what it's called in English), because older types of Dutch rolling stock don't have those. 1600 series locomotives also don't have those cilinders on the side of the frame between the bogies. Yep. Google Translate and all other online dictionaries failed to translate the Dutch term into another language. The 1600 definitely doesn't have a snow shovel, so if removal is easy I'd advise you to do so. 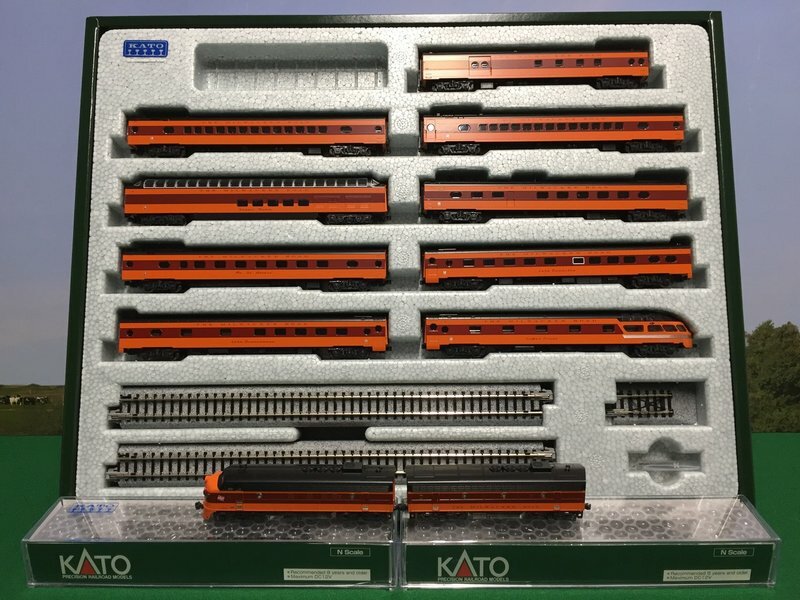 Just received the Kato Milwaukee Road "Olympian Hiawatha" - it's a beautiful set! I always wanted one. They appear on ebay from time to time but the price is usually quite ridiculous. 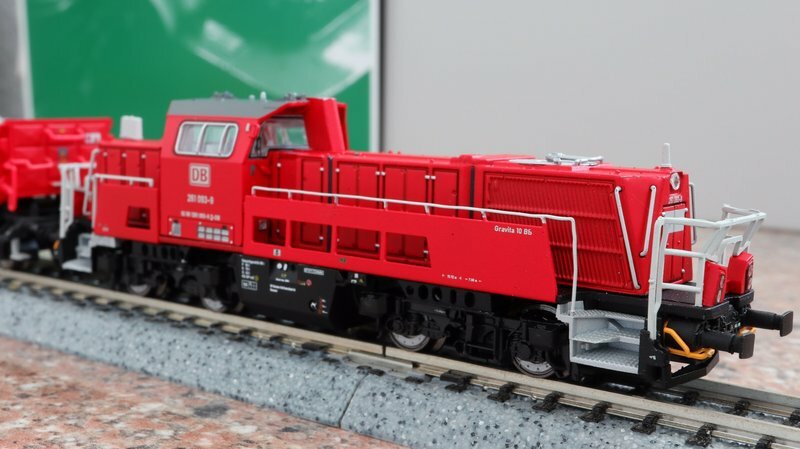 I found this one at my model train market. Seemed like nobody noticed it. Well, I did so here it is. 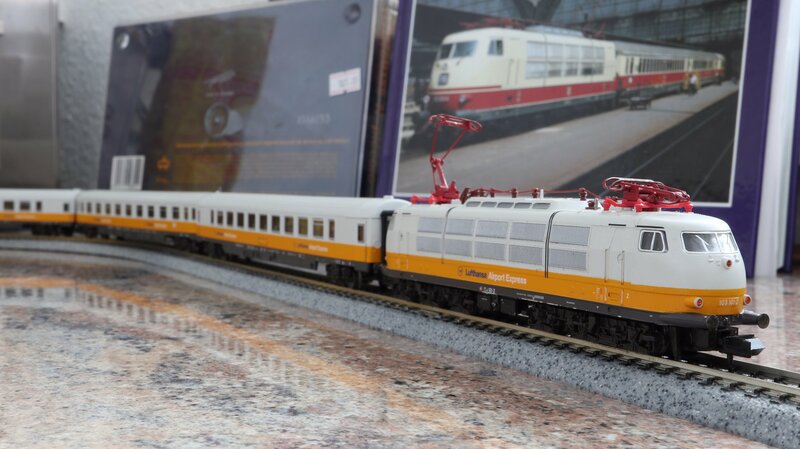 Hobbytrain/Kato DR SVT 137 "Bauart Köln"
Bought this one together with the 02 0201 to get the price down. Minitrix SNCF CC 72080 "Mulhouse"
I love me some Nez cassé. Nice. My local train guy was trying to tempt me with that a few days ago. But I'm not buying any more American trains for the time being, so I was able to resist. I wish KatoUSA would release these with the usual Kato Book style cases. I have a few of these sets that I wish I could put with the rest of my Kato collection. But I can't because of those giant cumbersome boxes. I have to keep them tucked away in a drawer. Enjoy. Those F-unit consists have great pulling power! That's a beautiful train. Did you get it new? I searched for Arnold, but all I could find was Hornby-Arnold. Did Hornby buy out Arnold? Do they still have their own outlets and website? 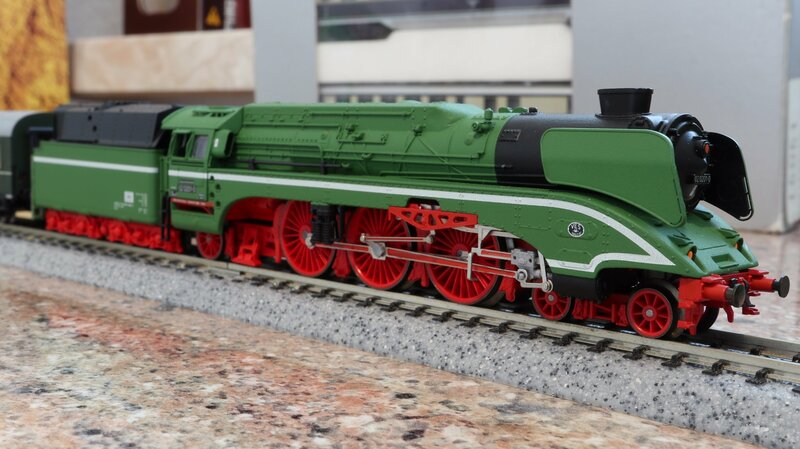 Saw some Kato European on Ebay and the seller's name is modeltrainmarket - check it out. He has a couple of different one. I told myself the same thing, no more North American trains - nope, I am weak and cannot resist. :) Yeah, I too wished they would use the Book Cases more often for the NA trains. 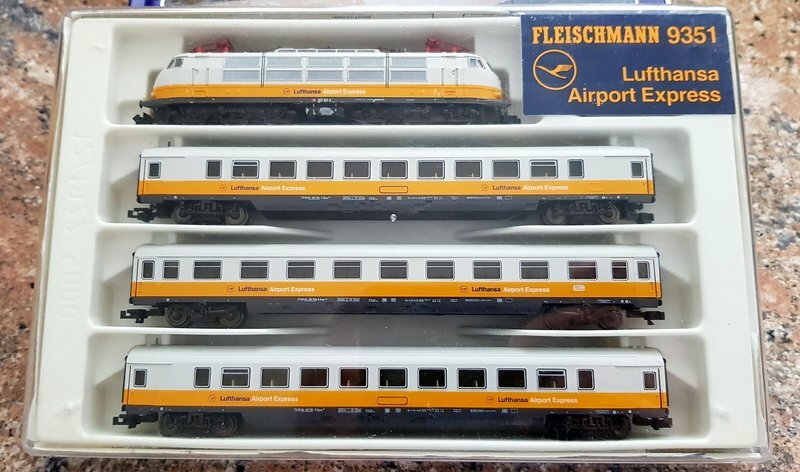 Well they did for the last 3 European HS trains they released. 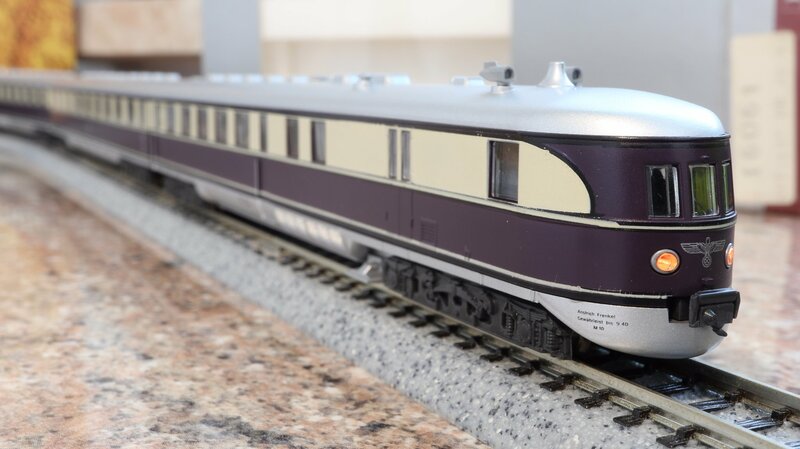 One of the original three single passenger car sets for the Morning Daylight. Now up to 14 cars and it's still chugging. And yet another Nez cassé has arrived. SNCF BB 15052 "Cambrai". 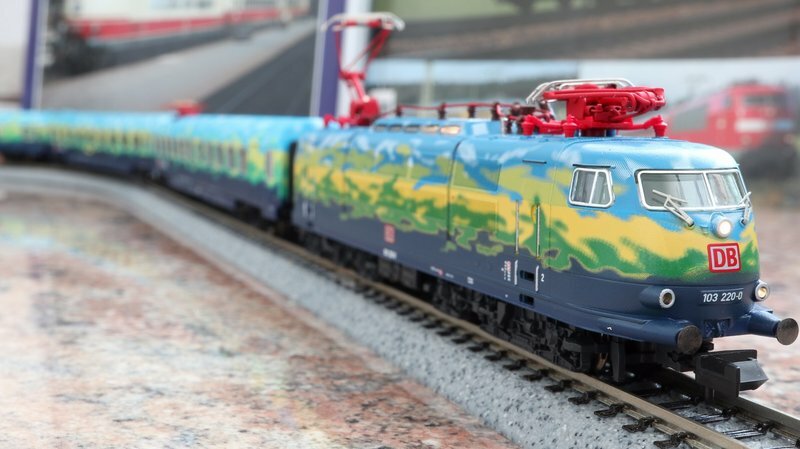 Until I can get a good deal on SNCF Corail coaches (which will probably be... never), it'll have to pull the DB EuroCity. 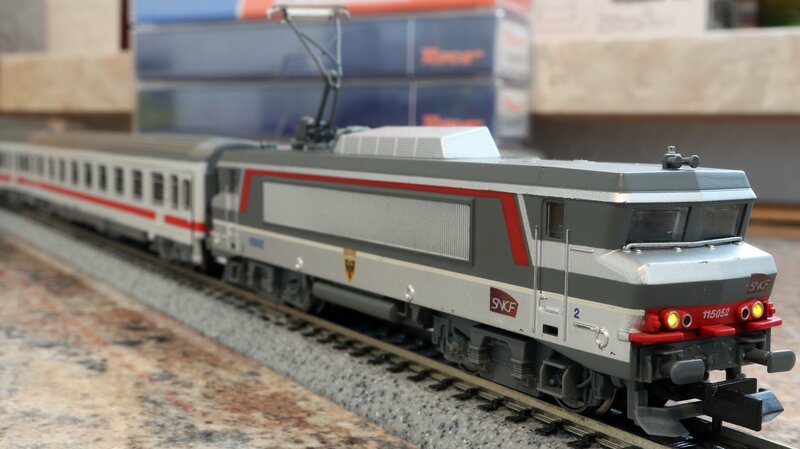 Love the nez cassé, especially in both old and new Korail liveries.